2013 started on a bad news with the death of Aaron Swartz’, however was a good year for academic publishing. Many important announcements were made, a lot of things were tried for good or for bad. Take down notice to Academia from Elsevier was one of those attempts where the biggest commercial publisher tried to safeguard it’s commercial interest. It was seen as a bad move, as Elseiver was seen as to curb the free flow of knowledge. However, when you look from another point of view, Academia.edu is also a “for profit” company and by allowing academics to upload their research papers and circulate them publicly (copyright of that was of course with Elsevier) it deliberately (or may be not so deliberately) indulged in a practice which served it’s profits in a way. However, towards the fag end of 2013 Elsevier also announced flipping of 7 of it’s subscription journals to Open Access from 2014. There are occasions which marked significant changes in near future to come. 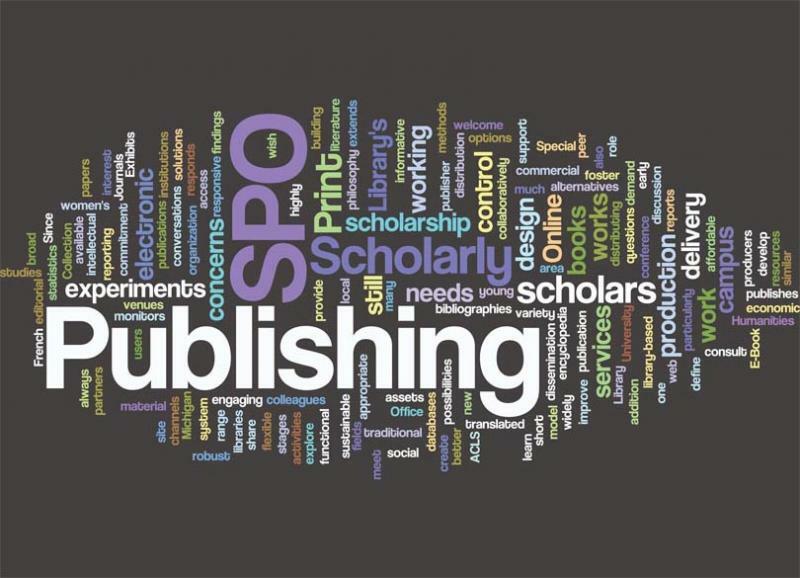 I have compiled few of them, which, in larger prospective gives an inside view of emerging trends in academic publishing world. 1. Decline of Commercial Publishers – Though commercial publishers like Elsevier, Springer etc. will still be the major player and will maintain their monopoly over academic publishing, they will however also begin recognizing the importance of Open Access and will start taking it more and more seriously. Elsevier for example, announced towards the end of 2013, about their decision to flip seven of their subscription journals to Open Access in 2014. 2. Rise of Academic Collaboration – Research community is perhaps the most apt for collaboration. 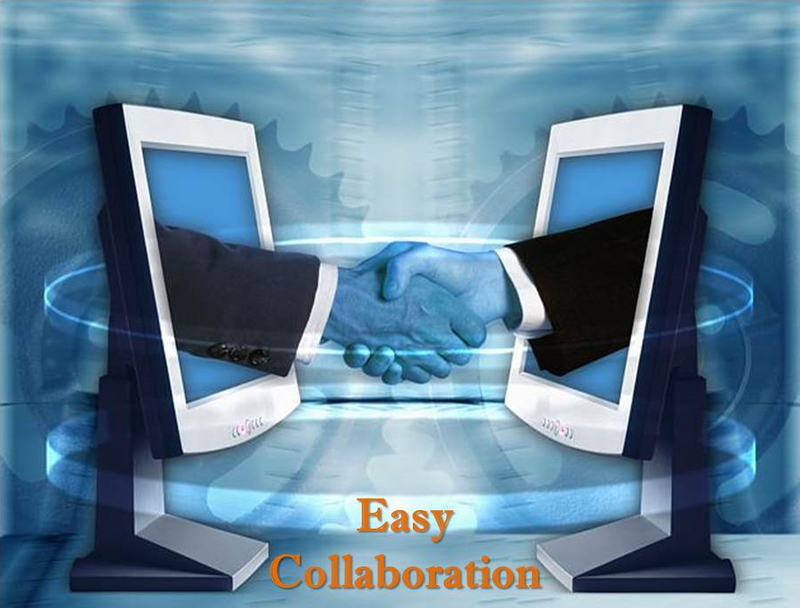 Collaboration among researcher will not only benefit the researchers but the research itself. A better research would mean a better community and a better economy. As we all know, research it engine for economic growth of a region. The two largest economies of the world are also the largest publishers of research papers. Collaborative websites like Academia and ResearchGate and I am sure many more collaborative platforms would see a phenomenal growth. 3. Rise of Small Publishers – With Digital publishing becoming a norm,and publishing becoming a simple procedure, it will be rather easy for many small publishers to come in. 2014 will see a lot of small publishers coming up, of course most of them will choose to be a part of Open Access. 4. Rise of Open Access – 2013 saw the rise and rise of Open Access, so much so that the movement threatened the existing business model of traditional commercial publishing. Rise of Open Access will give rise to Open Access Search Engines like RockYourPaper and Repositories like DAOJ and Arxiv etc. These websites increasingly become relevant to access information on Open Access. In February White House’s Office of Science and Technology Policy announced that all federal agencies with large research budgets will now need follow the National Institute of Health’s (NIH) lead in providing public access to research publications within one year. Similar announcements were made by Science Europe, a body representing 51 European Funding agencies. The year ended on a high note with UNESCO’s release of Open Access Repository. 5. Fall of Impact Factor – Commercial Publishers have long used Impact Factor to their advantage. Academics were forced to follow a process of Impact Factor which has the potential of getting manipulated easily. As I mentioned earlier in this article, these are few of the trends and the list is not exhaustive. You are welcome to discuss and add on the trends in the comment section. By rockurpaper in Rockyourpaper on January 1, 2014 . I also find your point 2, “Rise of Academic Collaboration” a very exciting trend, but IMO sites like like Academia and ResearchGate are more about showcasing your work – a sort of LinkedIn for research. I think platforms like http://peerevaluation.org/, https://osf.io/, and https://www.scienceopen.com/ look like more interesting, grassroots-ish platforms that could help online research collaboration. Open peer review has been with us for quite some time ( F1000, ACP, ETAI ) but it is not that easy to implement nor is it accepted for numerous reasons.I still agree that in a world open and networked, closed peer review is a thing of the past . Can you share few reasons why open peer review system is not accepted? Is publishing an article without bothering to have it edited a new trend? Apparently so. Your readers deserve better. But, if you are pointing out towards Transparent Review System – Yes, it is the need of the hour, it is the growing trend, and I am not the only one saying this, there are a lot of scholars wanting to find a right way and a right platform to do so. However, the transparent review system will have its own checks and balances for example, being grammatically right will be one of them. I see you have been copyediting, rewriting, and proofreading of STM academic and professional publications for a long time. If the trend continues, you will be the one with lots of work! Why would Elsevier’s acceptance of a profitable form of OA imply the decline of commercial publishers? It’s an adaptation likely to be equally profitable. As I also mentioned, commercial publishers like Elsevier will still hold the monopoly for years to come. Open Access as a movement will take time to give this system a fight, but eventually it will. I am not saying it will fall straight away. But 2014 will see a major shift in commercial publishers’ business model. They will adapt to OA. Elsevier’s open access journals charge $500-$5000USD per submission, i.e. the author pays. The Plos One group charge up to $2900USD per submission (although they waive fees for less developed countries). For traditional journals, the charge is per subscription or per view, i.e. the reader/library pays. As Alex Holzman points out, OA journals are likely to make just as much money for a publisher. They could even be more profitable, as with the traditional model the publisher still incurs all the production costs, even if no one ever reads the article. I’m interested why you think that commercial publishers will resist this change of business model. In my view neither the pure commercial nor the Gold OA where author pay, approach will work. At the end both are made to profit only the publisher. So if readers resist paying make the author pay. 🙂 Sorry, don’t work for me at least. I would rather see a business model where everyone has a win win situation. Be it the publisher, author or the reader. And no, commercial publisher will increasing adapt the later model. As circumstances will force them to. Thanks for the clarification. When you highlighted the move of 7 Elsevier journals to OA as a significant development, I thought you saw it as a positive change. I can see why you prefer a different model, but if the author doesn’t pay to publish, and the reader doesn’t pay to view, does the publisher work for free? As you rightly point out to Carol Anne above, these new trends in publishing will also likely lead to an increase in work for copy editors. I hope you don’t expect her to work for free as well. Digital publishing has been around for a long while now, and so have the predictions that this will make it easy for smaller publishers to develop. Why do you think this has not happened yet? You know some people argue for the sake of it, just because they want to. And, they really do not care if it brings any positive input to a discussion. 1. Yes, it is a positive change, at least the change is taking place and later on Gold OA model will also evolve. It is early days , but eventually it will. 2. You said and questioned, if the author doesn’t pay to publish, and the reader doesn’t pay to view, does the publisher work for free? My question is where did I mention it? I said, it needs to be a win win situation for everyone. 🙂 and by everyone I meant everyone who is involved be it the author, publisher or the reader. And, now I have a question for you. You mentioned “I can see why you prefer a different model” Can you clarify how do you see it? Whoever you are, WendyB or josephinebacon, if you want to contribute, please contribute positively. I still don’t get it, why people try being one up always? While I do agree with Alex that journals switching to (gold) OA does not necessarily mean a decline for commercial publishers, I do not think it has to be this way. Open access should not have to be as expensive as we currently see examples of. Several interesting initiatives have been and are appearing that hope to change this. See for example libreapp.org – an open review platform. With platforms like that, we can publish papers OA anywhere and have them assessed in a completely open way, in principle removing the need for some expensive journal’s prestigious stamp of approval. The upcoming journal thewinnower.com will be using this review model to publish OA at 100$ per paper. The journal peerj.com demonstrates that OA publishing does not have to be outrageously expensive: 199$ once for lifetime publishing of two papers per year. It will be hard to change. The current elite of traditional publishers have their prestige and high impact factor. This is the value they add which scientists seem willing to pay a lot for. I think new initiatives hoping to change this can use open review as a means to change the assessment standard from being based on the impact factor of the journals papers are published in to the actual merits of the individual papers. I am so sorry to have given the impression that I was arguing for the sake of it. I was trying to engage with your discussion of a topic of interest for all involved in academic publishing, and it appears at first that I misunderstood the points you were making about author-pays OA. Yes, I know you have not said anything about the publisher having to bear the costs of publishing. That is why I am asking, in I hope a polite way, who will bear the costs of publishing, to further the discussion. There are many people working in academic publishing, including copy editors, and also, for example, the many thousands of people employed in the typesetting industries. None of these earn a high wage at the moment, yet they do require to be paid, so any alternative model needs to take account of this. I can see that you, and many others, prefer a different model because the current one is so expensive. But I do genuinely think it is interesting that it is taking so long to develop. Thanks to Thomas Arildsen for his contribution. It does seem likely that scientists are willing to pay for the prestige and impact factor of traditional journals. I think it is also likely that some scientists are willing to publish elsewhere but find that there are barriers to career advancement if the publications listed on their CV are non-traditional. I truly am not arguing for the sake of arguing. I think this is a very important discussion. It is important to have high aspirations for a better future, but it is also important to examine the factual evidence in a dispassionate way – the very standards we expect from academic publishing. I agree with Carol Ann. The very first sentence begins with two grammatical errors. “2013 started on a bad news with the death of Aaron Swartz’s…”. A sentence never begins with figures and introducing the greengrocer’s apostrophe is a sign of illiteracy, And don’t you know the difference in usage between “it” and “it’s”? I know that even doctoral theses that are accepted nowadays are replete with spelling, grammatical and syntactical errors but they don’t do much for the writer’s reputation. Do you and Carol Anne even consider that some people have genuine difficulties with spelling and grammar that are not just a result of laziness? This is probably even more outspoken when the language (e.g. English here) is not your native language. Writing may not be your profession or your greatest talent, but that does not necessarily mean you do not have anything interesting or important to say. What are you supposed to do then? Keep quiet or write it anyway? I say the latter. Please give the guy a break. I guess you can point out flaws if you feel that you must, but in my opinion this could be done far more politely. P.S. You seem to have misspelled Carol Anne’s name in your comment. So, Josephine, what do you have to say about you misspelling Carol Anne’s name? Obviously, you will either ignore this message and not reply at all or try and defend. Let’s see if you have the courage to come out and accept. My point here is people make mistake, if you come across mistakes, try and suggest a solution instead of making personal remarks to people with whom you have never interacted. Hey guys I think that we’re talking about “Top 5 Emerging Trends to watch out for… in Academic Publishing in 2014”.For most of us English is not our native language but one tries to write correctly. That’s the end of it .